Cologne. Koln in German parlance. Known in the US for Eau de Cologne 1477 perfume. Only the female readers will know anything about the 1477 notation. At least none of the men on the cruise had a clue. 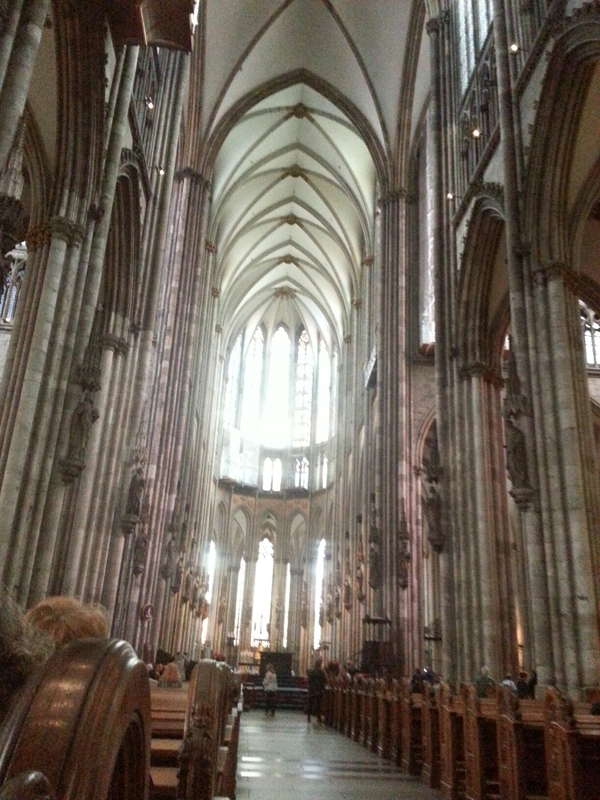 But, the real attraction is the Cathedral, standing about 157 meters, one of the tallest cathedrals in the world and a great example of the Gothic style. Bigger yet are the (alleged) bones from the The Kings (Magi) that were either acquired, or stolen, depending upon who you talk to. This was a huge money maker for the church as pilgrims came to touch the remains and brought a lot of money into the city. Further, the cathedral has beautiful Roman mosaic floors, and wonderful stained glass. 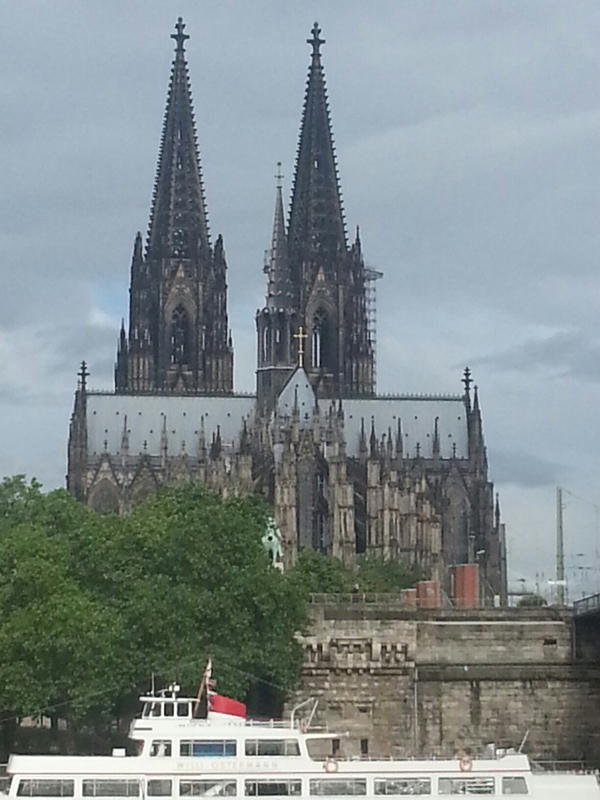 The cathedral was spared in WWII though 95% of Cologne was destroyed. The possible reason was because the cross shape and orientation of the church served as guidance for bombers heading to either Frankfurt or to Berlin. Sixteen bombs did strike the church but damage was minimal due, in part, to the fact that the Windows had been removed and the concussion of the bombs didn’t blow out the walls. The history of the city is very long, extending back to 4500BC and also including a rich Roman Empire history. 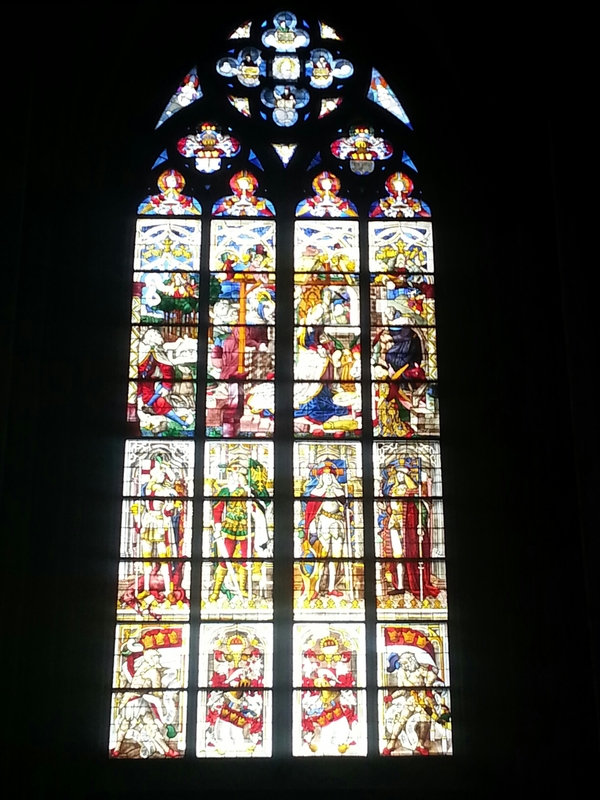 We visited a museum next the cathedral to see the artifacts. One is a mosaic that was mostly intact. 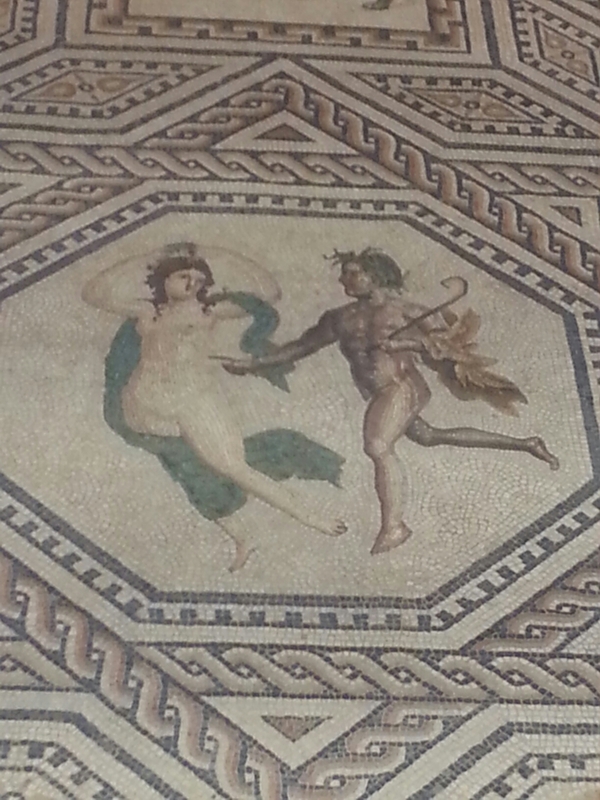 This is a close-up of one section with Bachus trying to seduce a maiden. The glass artifacts from the century around the birth of Christ were the most interesting. Speaking of interesting, Cologne also boasts a chocolate museum. We had to go. Three floors of exhibits about the agronomy, politics, economy and geography of cacao production. Quite interesting, and some free samples. 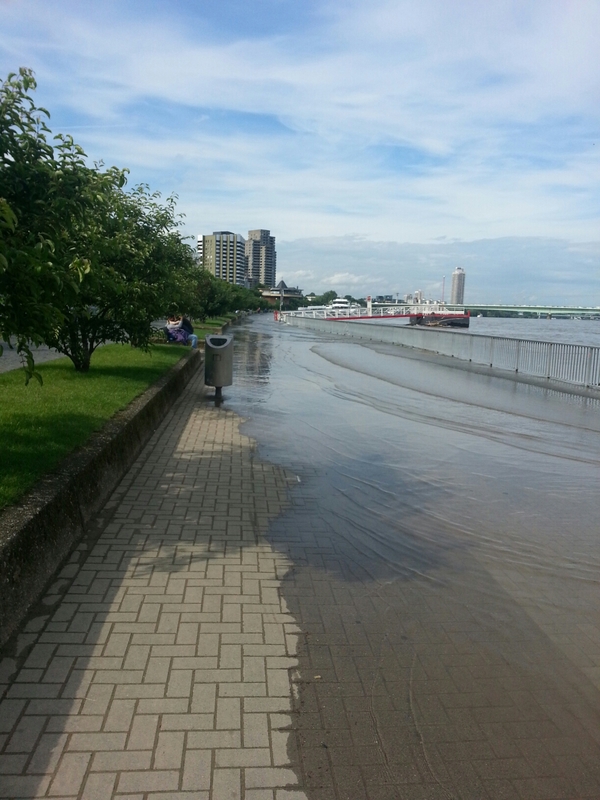 Fortunately, we were in the chocolate museum when the heavy rain came through, raising the Rhine up over the sidewalk by our ship. We were fortunate as the docks were closed after we departed. Two more days, Kinderdijk and Amsterdam.